After I had to replace the mainboard of my HTPC, on which also two other virtual machines were running on KVM, the kvm_amd module crashed on every boot on the replacement hardware. Though KVM still worked, I don’t like to see any modules crashing on boot. I began asking myself whether I really need full KVM virtualization or if some kind of container based virtualization would do a good or even better job for me. 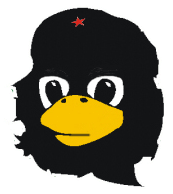 After reading into the pros and cons of different solutions, I concluded that LinuX Containers (LXC) should probably first choice for me. As the HTPC is running on Ubuntu 12.04, which also has Apparmor profiles that enhance the security of LXC’s weak security concept, I actually decided to continue with LXC. I don’t want to explain how to install LXC, because this is already covered by many other sites. The only thing that I found which is not covered well enough, is the conversion of machines from KVM (or similar) to LXC. In my case the KVM guests where using RAW disk images, so I am exclusively focusing on converting such below. First, the new target folder for the root file system of the LXC guest must be created. Then the RAW disk image must be mounted to access the files. In my case the disk contained only one partition. Modify the mount command may be necessary. Now comes the trickiest part: The configuration of the new machine must be modified, otherwise it is unlikely that it will boot successfully. Most required changes can be extracted from the template files in /usr/lib/lxc/templates/, which are typically used for the creation of new machines. Below are the modification for Debian machines, which worked perfectly well for Debian Lenny (shame in me) and Squeeze. locale="$LANG $(echo $LANG | cut -d. -f2)"
chroot $rootfs echo "locales locales/default_environment_locale select $LANG" | chroot $rootfs sh -c "LANG=C debconf-set-selections"
chroot $rootfs echo "locales locales/default_environment_locale seen true" | chroot $rootfs sh -c "LANG=C debconf-set-selections"
chroot $rootfs echo "locales locales/locales_to_be_generated seen true" | chroot $rootfs sh -c "LANG=C debconf-set-selections"
chroot $rootfs sh -c "LANG=C dpkg-reconfigure locales -f noninteractive"
chroot $rootfs /usr/sbin/update-rc.d checkroot.sh stop 09 S .
chroot $rootfs /usr/sbin/update-rc.d umountfs start 09 0 6 .
chroot $rootfs /usr/sbin/update-rc.d umountroot start 10 0 6 . # The following initscripts don't provide an empty start or stop block. chroot $rootfs /usr/sbin/update-rc.d hwclock.sh start 10 3 .
chroot $rootfs /usr/sbin/update-rc.d hwclockfirst start 08 3 .
chroot $rootfs /usr/sbin/update-rc.d module-init-tools start 10 3 . Finally we have to create a LXC configuration file for the new machine. Lazy as I am, I have copied an existing config file into /var/lib/lxc// and modified the paths and network configuration accordingly. Keep in mind that you won’t be able to detach from that console again. But to debug boot problems it is essential to not launch the machine in background mode (-d).